Ukraine does not require any visa for the European Union Citizens. For citizens of most other countries it is required. Ukrainian visa is issued by a Consular Division of the Embassy of Ukraine located in the country of your residence or if there is no Ukrainian Embassy in the country of your residence than in the neighbour country. In order to apply for a tourist visa, you need to have a set of documents including a Visa Support Letter written in Ukrainian and provided by a tour operator in Ukraine that is licensed by the Ministry of Foreign Affairs. In particular countries a tourist voucher for hotel reservation and information about programme of tourists stay on the territory of Ukraine are also requested. 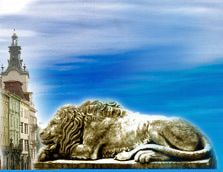 We provide visa support letter ONLY when you make a hotel or tour reservation with our company.